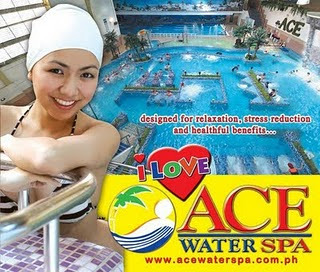 The Adventures of Berto and Kwala: Ace Water Spa Kapitolyo Pasig Branch Now Open! When we went there, they had a Buy 2 Take 1 Promo. You can avail of your free ticket within two weeks of the initial spa schedule. Wonderful! That is a P550 value right there! My husband is already excited to claim the free ticket! 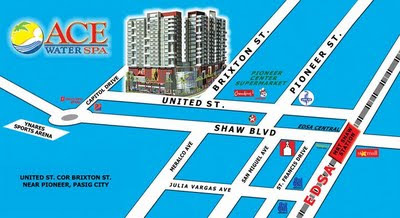 Same friendly personnel, but with better parking, since free parking space is allotted on the 5th floor of the building. (unlike in QC where there is limited parking in front of the spa, and when this is full your other choice is to go at the back of the building where a guard will look after your vehicle.) You’ll have to take the elevator down to the ground floor to enter the spa itself. It is basically the same set up, only smaller spa area since the lapping pool is bigger than the one in the main branch. All the hydro machines are still there but there is less space to move around in. I also noticed a few machines that were out of order, I never encountered such problem in the main branch. Unlike in QC where there are separate herbal pools for males and females, in this branch both sexes get to share in 4 herbal pools. Sadly we didn’t feel relaxed when we dipped in them since there were boisterous kids all around. Grrr… sorta defeated the purpose of those herbal pools.